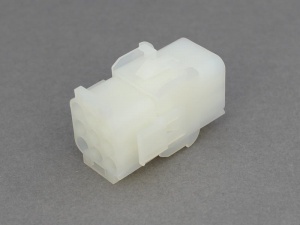 9-Way Mate N Lok Universal connector enabling secure and robust multiple connections for cables from 0.5 - 2.0mm². 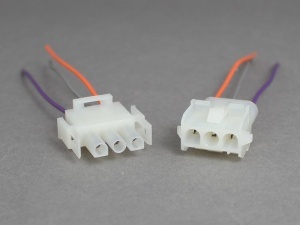 Male pins and female sockets are crimped onto the cables and then pushed into the the connector housings; the tabs on the terminals locking them in place. Latches on the male housing snap over the female housing when assembled, preventing accidental dis-connection. The keyed design also prevents the housings being assembled incorrectly. 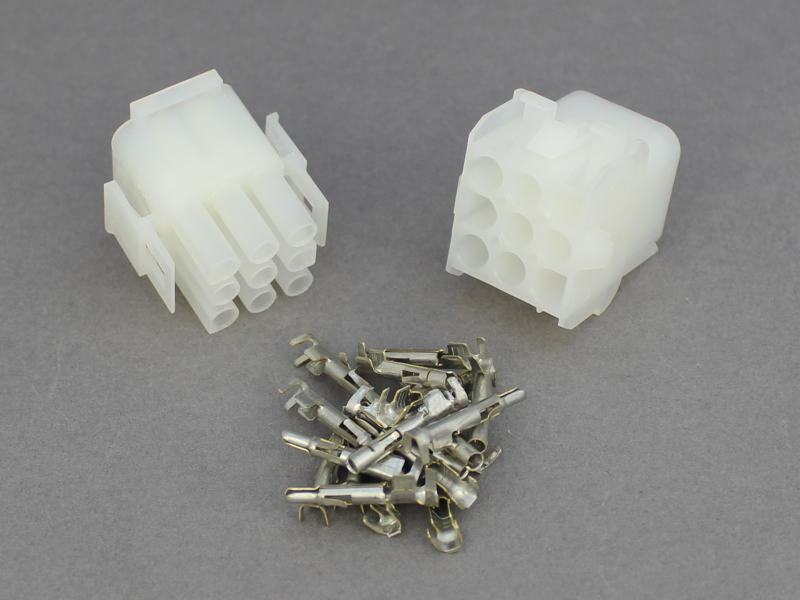 These little industry standard connectors are easy to use, very compact, can only be mated the correct way, have positive locking tabs and are inexpensive to use. Once you have the crimp tool anyway. The only downside is extracting pins, I don't have the extraction tool (looks like tweezers ~£23+) and the pins put up a fair old fight when trying to remove them, I used the smallest jewellers screwdrivers but not easy. Perfect match to connect to the Sargent relay box for tow lights used in Swift MotorHomes. Easy to assemble crimp or solder pins. Good solid connecting block at a good price.Slightly bigger than the one it replaced but did the job.